The head of the International Monetary Fund, Christine Lagarde, will go to trial December 12 in a long-running fraud case. A French court set the date Monday after rejecting an appeal. Lagarde is accused of intervening in a legal dispute between French tycoon Bernard Tapie and the bank Credit Lyonnais in 2007, when she was finance minister under President Nicolas Sarkozy. Tapie, a Sarkozy supporter, sued the French state in 1993 after selling a stake in Adidas to Credit Lyonnais. The bank was owned by the state at the time. He says Credit Lyonnais defrauded him when it resold the stake at a far higher price, a claim denied by the bank, which has since been bought and reorganized. 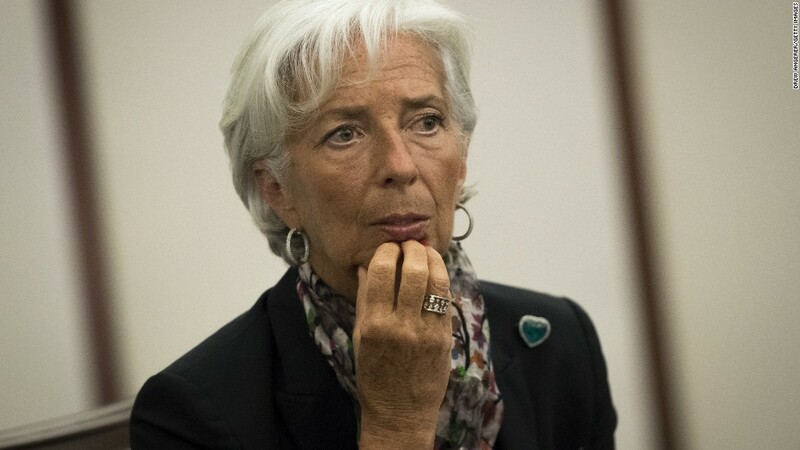 Christine Lagarde, Managing Director of the International Monetary Fund (IMF), will go to trial December 12 in a long-running fraud case. Lagarde has not been accused of profiting from the Tapie case, which has been moving through the French courts for years. The issue is whether she gave him preferential treatment. She has denied wrongdoing. The offense carries up to a year in prison and a fine of about $17,000. Lagarde will be tried by a special court that handles actions carried out by public officials while they are in office. It is composed of members of parliament and magistrates. CNN's Ivana Kottasova contributed to this report.